Bad things first, so let’s jump straight into it without sweet talk. We are aware that you all expecting the release of Corona Renderer 1.0 for 3ds max during November, but I have the sad obligation of telling you that it will not happen. There are some delays in non-application related things we have to deal with before the release. We still aim to release Corona Renderer 1.0 for 3dsmax as soon as possible – so keep your fingers crossed for the beginning of January 2015. We are really sorry about this, but delays seem to be almost inevitable in all software development. When we were forced to decide what to do, we chose postponing the release a bit, rather then releasing something that is not quite ready. Why do we have delay? First major one is that the e-commerce system we were planning to use proved to be extremely complicated, not flexible, with slow and bad support. After unsuccessfully trying to set up a shop, we had to find a replacement and re-start the whole process of integration. Second reason is licensing and it’s connection to the new e-commerce system – If we would offer just the FairSaaS licenses we would already have it 🙂 But because of box/student/… licenses things got a little bit more complicated. We want to be really sure that everything works perfectly – so we need a bit more time. Third reason was due to our new website. This task proved to take a bit more time and effort than we originally expected and this is solely our fault. But I can assure you, that the guys programming out new website are doing all they can to finish coding the new website this week. Now the good part. We saw some new opportunities, and took advantage of them. And thanks to a the delay, we were able to implement them in Corona Renderer 1.0. Here are the outcomes. 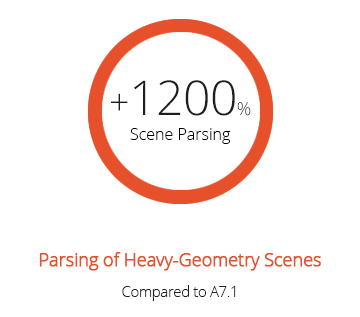 Forget the long delays before starting rendering of heavy geometry scenes. The whole process has been multi-threaded and otherwise improved, and shows massive speed gain. Up to 12 times. Displacement is now also precomputed with multiple threads. 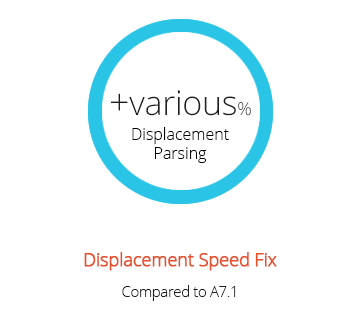 This speeds up the process about 450% on typical i7 CPUs. 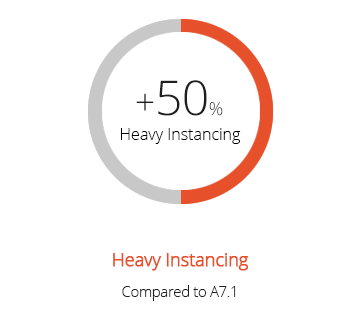 We have accelerated the delay after rendering large images in the past, but now we have found a way to speed them by additional 50% on top of the previous improvement. 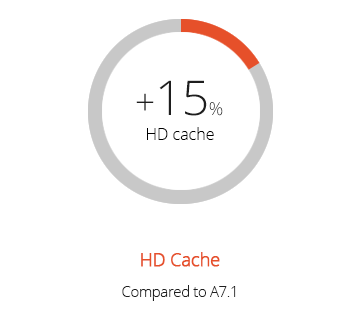 Jaroslav is currently implementing the new HD cache. But even before he started, he found a way to speed up the rendering by up to 15%. 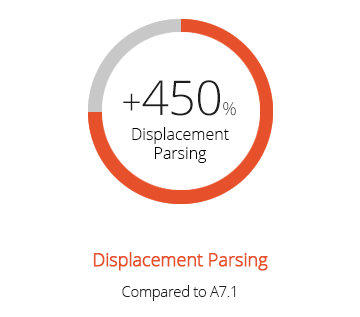 We have found and fixed a bug that sometimes caused excessive displacement processing times. It is hard to determine exact number – sometimes the impact is negligible, sometimes Corona is now faster up to 20 times. We also did a lot of shading core/system optimizations. We are hoping this will cause Corona to perform 20-25% faster on most scenes. New logo marks a new era for Corona Renderer. I hope you like it as much as we do. The font and the icon got sharper edges and most importantly the colour is now orange. There were many reasons why we have decided to change the colour. I do not want to describe them here in great detail, but the main reason was that the “old yellow” was already taken by other CG software. The readability of the yellow and grey in the original logo was not that great under bad light conditions or when printed on white paper. 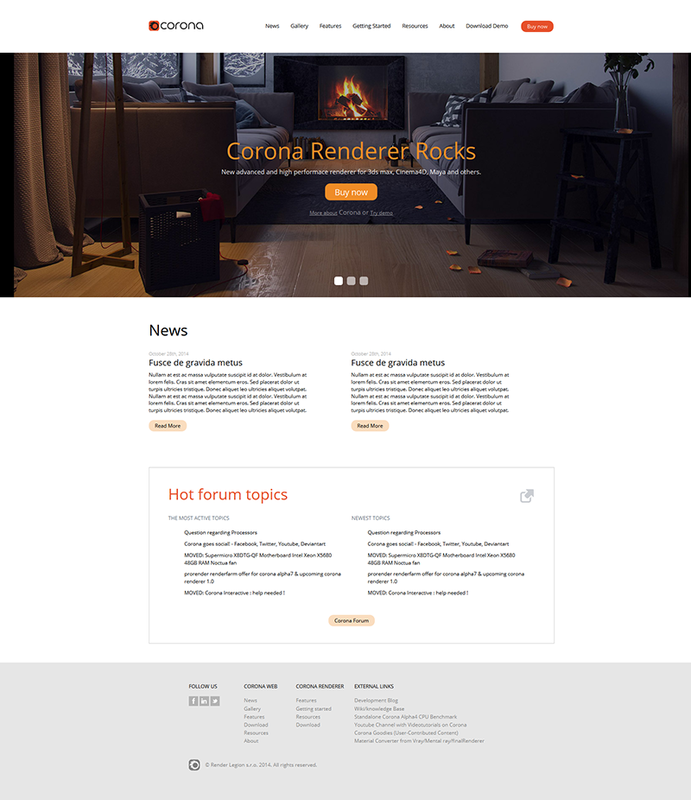 With Corona Renderer 1.0 we will also introduce a new website with licence administration and an e-shop where you can safely buy your desired licenses. Design has been finished and right now the guys at Refresh.cz are coding it. 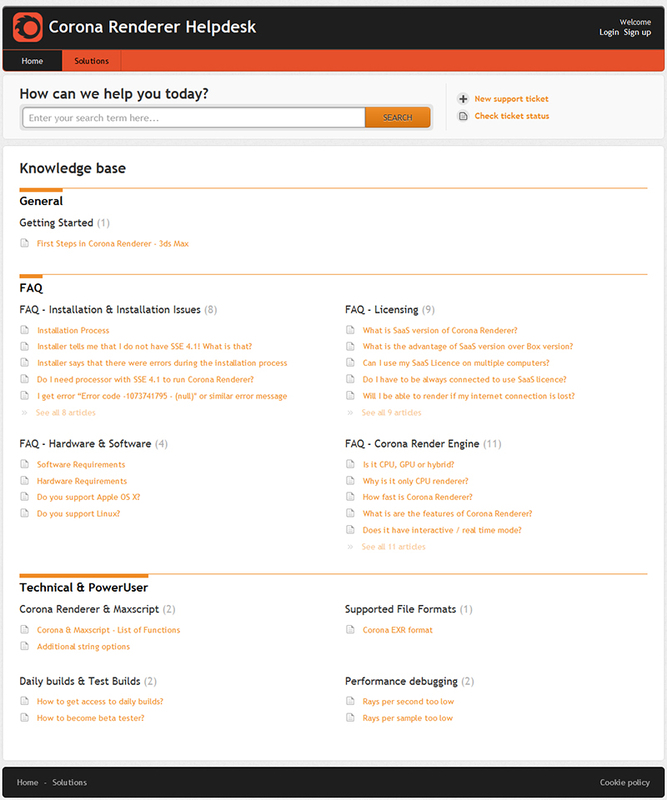 Here is a little work in progress of the main page. We will introduce a support system where you will be hopefully able to find answers to all common questions regarding Corona Renderer. The support portal will be manned – that means we will be answering your questions if you were unable to find the answer. Some of you might have seen this on on FB page – Intel‘s development team responsible for Embree Ray Tracing Kernels just started using Corona-rendered images for propagation: http://embree.github.io/gallery.html. Daily build will resume very soon. After a month long break, our testers will get their chance to test the stability of the latest builds, new licensing system and later they will get their hands on Release Candidates. 7. Extended Discount Period – 45 Days! As a small reimbursement for the extended period of waiting, we have decided to extend the introductory discount period. We have added extra 15 days, totaling 45 DAYS when you will be able to buy Corona Renderer for the introductory price. This 45 days will be counted from the first day of sales. The new website will feature development roadmaps, so you will exactly know when your desired functions are coming out for your Subscription or FairSaaS licenses. As you are aware Corona Renderer Alpha 7.1 will expire on 31.12.2014. We are planing to release new Corona build during next two weeks. It will be named Alpha 7.2 and it will be based on the Alpha 7.1 core, but it will have extended period of functionality, so it will work beyond 31.12.2014. This will give you plenty of time to switch to Corona Renderer 1.0 without stress and drama during first months of next year. We will release more info in a separate blog post, as usual. 10. Corona Alpha 6 is FREE forever. It has been already mentioned before, but it is better to repeat it once more. Corona Renderer Alpha 6 for 3ds max will remain free forever. It is very capable render engine and we want to give it free to everyone who does not want or is not able to afford Corona Renderer 1.0. There is no time lock of any kind. What we are working on right now? Jaroslav is working on UHD cache for animations at the moment. He has already improved noise in directional & IES lights and updated HD cache in past weeks. Adam will continue working on the new website & support system and other things related to the release. I always wonder how you guys are funded for the time being. Watching your speech during soa academy day means u are well fed! Just kidding. But seriously, do release it soon so we can support you & this promising engine. I already ditched my vray workflow from 10 years of usage! While I’d love to get my hands on V1.0 (I’ve been obsessively checking the blog and forums all November..) waiting for it to be right is the best way. I’m another that’s ditched Vray from the workflow and haven’t regretted it for a moment. Good luck – wallet at the ready come January! 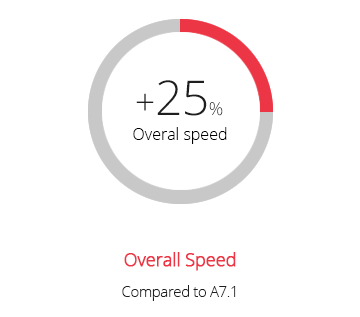 So many speed improvements on i7 CPUs, I can only imagine the multi-threading speed improvements on out dual Xeon system (40 threrads)! Comment on the logo. The orange is now hiding the black icon in center. It’s really a good thing that you guys updated the community about the work in progress. Take this time to improve this (already) nice software. I’m impressed by your transparent and open mode of communication with your users. More developers, and especially the major companies, should look to you guys for an example in this matter. I haven’t been this excited in a while. Any word on GGX shaders? Any update on the release date ? so eager to see the final version and use it. Good luck with your work !